HB259 HD1 RELATING TO THE HAWAIIAN HOMES COMMISSION ACT. HB261 HD1 RELATING TO AGRICULTURE. HB263 RELATING TO THE ELIGIBILITY OF FIREFIGHTERS, EMERGENCY MEDICAL SERVICES PERSONNEL, AND LAW ENFORCEMENT OFFICERS TO RECEIVE WORKERS' COMPENSATION BENEFITS FOR POST-TRAUMATIC STRESS DISORDER. HB264 RELATING TO RESOURCE LAND ACQUISITION PLAN. HB394 HD1 RELATING TO HIGHWAY BEAUTIFICATION. HB395 RELATING TO THE LEGISLATURE. HB396 RELATING TO COASTAL EROSION PROACTIVE ADAPTATION PLAN. HB447 RELATING TO AQUATIC RESOURCES. HB450 HD1 RELATING TO AGRICULTURAL EMERGENCIES. HB454 HD1 SD1 RELATING TO KAHOOLAWE ISLAND RESERVE. HB455 HD1 RELATING TO THE KAHOOLAWE ISLAND RESERVE COMMISSION. HB458 HD1 RELATING TO SMALL BOAT HARBORS. HB521 HD1 RELATING TO OCULARISTS. HB522 RELATING TO MOTOR VEHICLE REGISTRATION. HB523 HD1 RELATING TO THE GENERAL EXCISE TAX. HB524 HD1 RELATING TO FIRE SPRINKLERS. HB541 PROPOSING AMENDMENTS TO ARTICLE VII, SECTIONS 12 AND 13, OF THE HAWAII CONSTITUTION TO AUTHORIZE THE COUNTIES TO ISSUE TAX INCREMENT BONDS AND TO EXCLUDE TAX INCREMENT BONDS FROM DETERMINATIONS OF THE FUNDED DEBT OF THE COUNTIES. HB542 RELATING TO TAX INCREMENT BONDS. HB543 HD1 SD1 RELATING TO AFFORDABLE HOUSING. HB546 HD2 SD1 RELATING TO INTOXICATING LIQUOR. HB547 HD1 RELATING TO FARMS. HB551 SD1 CD1 RELATING TO CESSPOOLS. HB557 HD1 RELATING TO ENERGY EFFICIENCY. HB558 HD1 SD1 RELATING TO KEKAHA KAI STATE PARK. HB567 RELATING TO DIGITAL CONTENT BLOCKERS. HB572 RELATING TO LICENSE PLATES. HB573 HD1 RELATING TO TUITION WAIVERS. HB769 HD1 RELATING TO IRRIGATION. HB781 RELATING TO THE DEPARTMENT OF EDUCATION. HB782 HD1 RELATING TO AGRICULTURE. HB784 RELATING TO THE HAWAII TOURISM AUTHORITY. HB785 RELATING TO MINIMUM WAGE. HB830 RELATING TO STATE PARKS. HB870 HD1 RELATING TO AGRICULTURAL BUILDINGS AND STRUCTURES. HB887 HD1 SD1 RELATING TO INTOXICATING LIQUOR. HB888 HD1 SD2 MAKING APPROPRIATIONS TO THE MAUI HEALTH SYSTEM. HB891 HD1 RELATING TO TAXATION. HB892 RELATING TO CAREER TECHNICAL EDUCATION. HB1070 HD1 SD1 RELATING TO EDUCATION. HB1072 HD1 RELATING TO THE FESTIVAL OF THE PACIFIC ARTS. HB1074 RELATING TO ASSISTANCE ANIMALS. HB1075 RELATING TO BAG LIMITS. HB1076 HD1 RELATING TO PUBLIC MEETINGS. HB1077 RELATING TO FISCAL RESPONSIBILITY. HB1078 RELATING TO THE STADIUM AUTHORITY. HB1079 RELATING TO LAND PURCHASE. HB1080 RELATING TO ARTIFICIAL INTELLIGENCE. HB1098 HD1 RELATING TO FIREWORKS. HB1100 HD1 RELATING TO EMERGENCY ACCESS TO SHELTER. HB1101 HD1 RELATING TO AGRICULTURE. HB1102 HD2 RELATING TO AGRICULTURE EDUCATION. HB1117 HD2 RELATING TO STATE LANDS. HB1118 RELATING TO ENVIRONMENTAL SUSTAINABILITY. HB1119 RELATING TO STATE HOLIDAYS. HB1133 HD2 SD2 RELATING TO MARINE LIFE CONSERVATION DISTRICTS. HB1230 RELATING TO PICKUP TRUCKS. HB1231 RELATING TO INTERNATIONAL EDUCATION PROGRAMS. HB1270 HD1 SD2 CD1 RELATING TO THE HOSPITAL SUSTAINABILITY PROGRAM. HB1328 HD1 RELATING TO GOVERNMENT WEBSITES. HB1372 RELATING TO CAPITAL IMPROVEMENT PROJECTS FOR THE BENEFIT OF THE THIRTEENTH REPRESENTATIVE DISTRICT. HB1385 RELATING TO THE HAWAII SCIENTIST-TO-TEACHER PATHWAY PILOT PROGRAM. HB1390 RELATING TO IOLANI PALACE. HB1410 HD1 RELATING TO THE BOARD OF LAND AND NATURAL RESOURCES. HB1449 HD1 SD2 CD1 RELATING TO THE NURSING FACILITY SUSTAINABILITY PROGRAM. HB1455 HD2 SD1 RELATING TO THE UNIVERSITY OF HAWAII. HB1456 RELATING TO THE MAUI FOOD INNOVATION CENTER. HB1481 HD1 RELATING TO AGRICULTURAL LOANS. HB1505 HD1 RELATING TO AGRICULTURE. HB1547 HD2 SD3 MAKING AN APPROPRIATION TO THE UNIVERSITY OF HAWAII. HB1553 HD1 SD1 RELATING TO HOMELAND SECURITY. HB1564 HD1 RELATING TO COASTAL ZONE MANAGEMENT. HB1573 RELATING TO PROTECTION OF STREAMS. HB1579 RELATING TO STATEWIDE SUSTAINABILITY INITIATIVES. HCR65 HD1 REQUESTING THE DEPARTMENT OF AGRICULTURE TO STUDY AND MAKE RECOMMENDATIONS ON HOW TO INCREASE COMPLIANCE WITH THE VARIOUS REQUIREMENTS FOR AGRICULTURAL LANDS AND TO PREVENT ABUSE OF AGRICULTURAL LAND LEASES. HCR72 REQUESTING THE DEPARTMENT OF HUMAN SERVICES TO EXAMINE THE IMPLEMENTATION OF ACT 217, SESSION LAWS OF HAWAII 2018, REGARDING MISREPRESENTATION OF SERVICE ANIMALS. HCR73 REQUESTING THE AUDITOR TO CONDUCT A MANAGEMENT AUDIT OF THE CORRECTIONS DIVISION OF THE DEPARTMENT OF PUBLIC SAFETY. HCR76 REQUESTING THE DIRECTOR OF THE OFFICE OF PLANNING TO ESTABLISH WITHIN THE OFFICE OF PLANNING AN AGRICULTURAL HOUSING TASK FORCE. HCR106 CONVENING THE HAWAII DAM SAFETY TASK FORCE. HCR132 REQUESTING A STUDY ON THE SIGNIFICANCE OF TRADITIONAL HAWAIIAN PRACTICES, INCLUDING THE MAKAHIKI, AND THEIR EFFECT ON THE PERPETUATION OF NATIVE HAWAIIAN CULTURE. HCR148 REQUESTING THAT THE HAWAII STATE LEGISLATURE DECLARE ‘AWA AS THE OFFICIAL BEVERAGE OF THE ALOHA STATE. HCR149 REQUESTING THE UNITED STATES POSTAL SERVICE TO ISSUE A COMMEMORATIVE POSTAGE STAMP IN HONOR OF ALFRED AHOLO APAKA. HCR150 URGING THE STATE BOARD ON GEOGRAPHIC NAMES TO CONSULT WITH COMMUNITY MEMBERS WHO HAVE DIRECT TRADITIONAL, CULTURAL, AND FAMILIAL TIES TO THE DISTRICT OF PUNA TO ESTABLISH APPROPRIATE NAMES FOR THE FISSURE 8 VENT AND OTHER FEATURES OF THE 2018 ERUPTION OF KILAUEA VOLCANO. HCR151 URGING THE DEPARTMENT OF HAWAIIAN HOME LANDS TO BUILD ALTERNATIVE HOUSING OPTIONS FOR LESSEES. HCR152 URGING THE CHAIRPERSON OF THE BOARD OF LAND AND NATURAL RESOURCES TO RENAME THE RUSSIAN FORT ELIZABETH STATE HISTORICAL PARK IN WAIMEA, KAUA‘I, TO PA‘ULA‘ULA. HCR154 SUPPORTING THE DEVELOPMENT OF A HAWAIIAN LANGUAGE PLAN AND REQUESTING THE CONVENING OF A COALITION TO DEVELOP THE PLAN. HCR155 SD1 URGING THE ESTABLISHMENT OF A NATIVE HAWAIIAN INTELLECTUAL PROPERTY TASK FORCE TO DEVELOP A SUI GENERIS LEGAL SYSTEM TO RECOGNIZE AND PROTECT NATIVE HAWAIIAN CULTURAL INTELLECTUAL PROPERTY, TRADITIONAL CULTURAL EXPRESSIONS, AND GENETIC RESOURCES. HCR192 HD1 REQUESTING THE HAWAII TEACHER STANDARDS BOARD TO ACCEPT THE NATIONAL ORIENTATION AND MOBILITY CERTIFICATION FOR TEACHERS PROVIDING ORIENTATION AND MOBILITY SERVICES. HCR221 URGING THE CONSERVATION AND TOURISM COMMUNITIES TO COLLABORATIVELY IMPLEMENT A STATEWIDE RESPONSIBLE TOURISM INITIATIVE TO HELP ACHIEVE THE ALOHA+ CHALLENGE SUSTAINABILITY TARGETS, IMPROVE VISITOR EXPERIENCE, AND PROTECT OUR NATURAL AND CULTURAL HERITAGE FOR FUTURE GENERATIONS. HCR232 APPROVING THE SELECTION OF GEORGE RYOICHI ARIYOSHI TO BE INDUCTED INTO THE ALOHA ORDER OF MERIT. HR20 COMMENDING THE HONPA HONGWANJI MISSION OF HAWAI‘I FOR THEIR CONTRIBUTIONS TO ADVANCING HAWAIIAN CULTURE. HR21 HONORING AND CELEBRATING HAWAIIAN CIVIC CLUB OF HONOLULU'S CENTENNIAL ANNIVERSARY AND THE HAWAIIAN CIVIC CLUB MOVEMENT. HR55 REQUESTING THE DEPARTMENT OF LABOR AND INDUSTRIAL RELATIONS, IN COLLABORATION WITH THE DEPARTMENT OF AGRICULTURE, TO SUBMIT A REPORT DETERMINING A LIVING WAGE STANDARD FOR AGRICULTURAL WORKERS LIVING IN THE STATE. HR65 HD1 REQUESTING THE DEPARTMENT OF AGRICULTURE TO STUDY AND MAKE RECOMMENDATIONS ON HOW TO INCREASE COMPLIANCE WITH THE VARIOUS REQUIREMENTS FOR AGRICULTURAL LANDS AND TO PREVENT ABUSE OF AGRICULTURAL LAND LEASES. HR66 REQUESTING THE STATE AND COUNTIES TO EXPAND EFFORTS FOR COMMUNITY INPUT REGARDING ADOPTION OF ADMINISTRATIVE RULES, STATEWIDE PLANS, AND PLANS THAT AFFECT RURAL COMMUNITIES. HR74 REQUESTING THE DIRECTOR OF THE OFFICE OF PLANNING TO ESTABLISH WITHIN THE OFFICE OF PLANNING AN AGRICULTURAL HOUSING TASK FORCE. HR100 CONVENING THE HAWAII DAM SAFETY TASK FORCE. HR122 REQUESTING A STUDY ON THE SIGNIFICANCE OF TRADITIONAL HAWAIIAN PRACTICES, INCLUDING THE MAKAHIKI, AND THEIR EFFECT ON THE PERPETUATION OF NATIVE HAWAIIAN CULTURE. HR130 URGING THE COUNTY OF HAWAII TO ADOPT LEGISLATION AUTHORIZING AND PROMOTING AGRITOURISM IN THE COUNTY OF HAWAII. HR136 HD1 REQUESTING THE UNITED STATES POSTAL SERVICE TO ISSUE A COMMEMORATIVE POSTAGE STAMP IN HONOR OF ALFRED AHOLO APAKA. HR137 URGING THE STATE BOARD ON GEOGRAPHIC NAMES TO CONSULT WITH COMMUNITY MEMBERS WHO HAVE DIRECT TRADITIONAL, CULTURAL, AND FAMILIAL TIES TO THE DISTRICT OF PUNA TO ESTABLISH APPROPRIATE NAMES FOR THE FISSURE 8 VENT AND OTHER FEATURES OF THE 2018 ERUPTION OF KILAUEA VOLCANO. HR138 URGING THE DEPARTMENT OF HAWAIIAN HOME LANDS TO BUILD ALTERNATIVE HOUSING OPTIONS FOR LESSEES. HR139 URGING THE CHAIRPERSON OF THE BOARD OF LAND AND NATURAL RESOURCES TO RENAME THE RUSSIAN FORT ELIZABETH STATE HISTORICAL PARK IN WAIMEA, KAUA‘I, TO PA‘ULA‘ULA. HR140 REQUESTING THE DEPARTMENT OF HAWAIIAN HOME LANDS TO PERFORM AN ACTUARIAL STUDY ON THE SIZE OF THE CURRENT AND PROJECTED FUTURE POPULATIONS OF HAWAIIANS ELIGIBLE TO LEASE HAWAIIAN HOME LANDS. HR141 SUPPORTING THE DEVELOPMENT OF A HAWAIIAN LANGUAGE PLAN AND REQUESTING THE CONVENING OF A COALITION TO DEVELOP THE PLAN. HR142 URGING THE ESTABLISHMENT OF A NATIVE HAWAIIAN INTELLECTUAL PROPERTY TASK FORCE TO DEVELOP A SUI GENERIS LEGAL SYSTEM TO RECOGNIZE AND PROTECT NATIVE HAWAIIAN CULTURAL INTELLECTUAL PROPERTY, TRADITIONAL CULTURAL EXPRESSIONS, AND GENETIC RESOURCES. HR173 HD1 REQUESTING THE HAWAII TEACHER STANDARDS BOARD TO ACCEPT THE NATIONAL ORIENTATION AND MOBILITY CERTIFICATION FOR TEACHERS PROVIDING ORIENTATION AND MOBILITY SERVICES. HR196 URGING THE CONSERVATION AND TOURISM COMMUNITIES TO COLLABORATIVELY IMPLEMENT A STATEWIDE RESPONSIBLE TOURISM INITIATIVE TO HELP ACHIEVE THE ALOHA+ CHALLENGE SUSTAINABILITY TARGETS, IMPROVE VISITOR EXPERIENCE, AND PROTECT OUR NATURAL AND CULTURAL HERITAGE FOR FUTURE GENERATIONS. HR209 COMMENDING FAITH TUIPULOTU FOR HER DEDICATION TO AGRICULTURE AND HER CONTRIBUTIONS TO FARMING IN HAWAII. Rep. Lynn Pualani DeCoite is now serving her 2nd term representing District 13 in the Hawaii State Legislature. Lynn DeCoite was born in Honolulu and has lived on Moloka'i since she was four years old. She is a third generation homestead farmer, where she and her three siblings were raised to work hard and live off the land. Lynn went to Moloka'i High School and then attended Moloka'i Community College. She is a devoted wife and proud mother of three children and one granddaughter. Lynn and her husband own and operate L&R Farms Enterprises, LLC where they raise the famous Moloka'i purple sweet potato. Along with being a small business owner Lynn has a history of being very involved in her community including the Annual Moloka'i Christmas Parade, the Moloka'i Ag Festival, the Annual Prince Kuhio Day Event and the Moloka'i Annual Charity Walk. Lynn also served as the Parent Teacher Student Organization President for Molokai Middle School. Lynn DeCoite has also served on the Boards for organizations like Lokahi Pacific (from 2004-2012 ) - a housing and small business loan agency, Hikiola Cooperative (2008-2011)- a feed and fertilizer Co-op, Molokai Irrigation Advisory Board (2008-2012), the Molokai Chamber Foundation (2006-2012), The Molokai Planning Commission from (2006-2009). Up until her appointment to the State House of Representatives Lynn served on the Molokai Homestead Farmers Alliance (2006-2015), Farm Service Agency (2007-2015) and the Hawaii State Board of Agriculture (2012-2015). Lynn has engaged in issues and been involved at both the Maui County Council and the State Legislature and advocated for the people of Hawaii. She has participated in various working groups including the Maui Water Community Working Group and the Molokai Workforce Development Agricultural Working Group. Lynn was instrumental in having Molokai Irrigation System audited and lobbying for it to have the necessary funds to fix the system for so that farmers can continue to farm. On February 20, 2015 Lynn DeCoite was sworn in to represent the 13th District in the Hawaii State House of Representatives. She was appointed by Governor David Ige to fill the remainder of the two-year term left by the passing of Rep. Mele Carroll. During her first term Rep. DeCoite secured valuable resources for her district and for the entire State of Hawai’i. She worked to get two Food Safety Assistance bills passes and signed into law (HB 2582 and HB 2657) to help with compliance of the Federal Food Safety Modernization Act (FSMA). Rep. DeCoite also collaborated with her colleagues to ensure the passage of SB 911 which prohibits the use of latex gloves by personnel working in food establishments or by personnel providing ambulance services or emergency medical services. For District 13, She brought in $147,710,550.00 in Capital- Improvement Project (CIP) and Grant-In-Aid (GIA) Funds to work on infrastructure and assisted non-profits in the area she represents. Rep. Lynn DeCoite is committed to keep her ears open, keep an open mind and is willing to listen and work with EVERYONE to make the State of Hawai'i a better place for all of its people. District 13 received $224,763,000 in CIP and GIA funds for 2018/2019. Do you have Unclaimed Property?? With the Hurricanes happening on the Mainland many of you have asked about the Hurricane evacuation areas for our district. My office called and spoke with the Maui Emergency Management Office. They confirmed that the list of emergency shelters listed on www.MauiReady.org is the most updated list. The office also mentioned that for each “event” these shelters may change. They also mentioned that there is always at least one shelter that is Pet Friendly (the most common question they are asked) and that the location(s) of those shelters would be announced in the days leading up to the “event”. They also suggested checking the www.MauiReady.org website. This website is maintained by the Maui DOH office and the Maui Emergency Management Office and is updated regularly. Here is the link to the Hurricane Prep card that was mailed out earlier this summer Hurricane Season Mailer July 2017. Thank you all for being so vigilant. Please share this information with your family and community members that may not be able to get on the website(s). My office is working on putting together some more Emergency Preparedness information for the residents of District 13. Dear District 13 Ohana, As we enter hurricane season, I want to make sure we are all ready. Here are some lists and resources to make sure you and your family are prepared. Please help share this information with your community members. Rep. DeCoite accompanied by State Senator Kalani English presented Ms. Shook with a certificate for her vision and dedication in the creation of the Women’s March and all of the unifying principals it stands for in addressing equality across the entire State of Hawai’i and throughout the world. “The Women’s March turned into a worldwide movement. And of course I thinks it’s awesome that it all started right here in District 13 – which is why I wanted to do this presentation here in the district.” Stated Rep. DeCoite. Teresa Shook is a Hana Resident, Grandmother, Retired Attorney and is the Visionary for the 2017 Women’s March. The presentation took place at the main stage at the Haiku Ho’olaule’a & Flower Festival with many community members and Women’s March supporters in the audience. "I think this is a huge step in the right direction for the beneficiaries moving forward. My hope is that by adding funding for positions for DHHL this will help address the Hawaiian Homes Wait List, affordable housing needs and homeless issues. These are a few of the many reasons I felt it was my responsibility to introduce HB 1932 this session. It is great that the Governor and both the House and Senate have agreed to increase funding to the Department of Hawaiian Home Lands for 2016 and 2017, as well as, acknowledge that we must fulfill our constitutional obligation to sufficiently fund the Department of Hawaiian Home Lands and its beneficiaries. I want to thank my colleagues for their support of HB 1932. I look forward to working with them and Governor Ige to get this important measure passed." Here is some information and tips to help protect you, your family and community members from mosquitos. These steps are integral to help prevent the spread of Dengue Fever and the potential spread of the Zika Virus. See flyer. Please feel free to contact my office if you have any questions or if I can be of service to you. Please join Representative Lynn DeCoite and leaders from the Hawaii State House of Representatives for a community update on the 2015 Legislative Session and preview for the upcoming 2016 Session. See flyer. 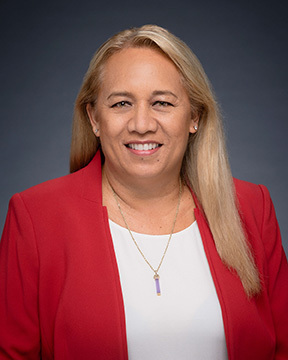 HONOLULU, HAWAII - Today Representative Lynn DeCoite, who was appointed by Governor David Ige to complete the current term of the late Mele Carroll, was sworn in during the regular session of the Hawaii State House of Representatives. "This is a bittersweet day for me and my family." Stated Rep. DeCoite" I know I have some big shoes to fill. I am grateful for having the opportunity to get to know Rep. Carroll. She was my Rep., my friend, and she was my family." DeCoite continued "I know I have a lot to learn. I am committed to setting forth with an open mind and to do the best for District 13, the people of East Maui, Moloka'i and Lana'i. I am thankful for this opportunity and will not take it for granted." Representative DeCoite will serve on the House Committee on Finance (FIN) along with the committees on Agriculture (AGR), Economic Development & Business (EDB), Tourism (TUR) and Veterans, Military, & International Affairs, & Culture and the Arts (VMI). Rep. Lynn DeCoite was born in Honolulu and has lived on Moloka'i since she was four years old. She is a third generation homestead farmer, where she and her three siblings were raised to work hard and live off the land. Rep. DeCoite went to Moloka'i High School and then attended Moloka'i Community College. She is a devoted wife and proud mother of three children. Rep. DeCoite and her husband Russell, own and operate L&R Farms Enterprises, LLC where they raise the famous Moloka'i purple sweet potato. Along with being a small business owner DeCoite has a history of community service. She has been involved with the Annual Moloka'i Christmas Parade, the Moloka'i Ag Festival, the Annual Prince Kuhio Day Event and the Moloka'i Annual Charity Walk. She also served as the Parent Teacher Student Organization President for Moloka'i Middle School. Lynn DeCoite has also served on the Boards for organizations like Lokahi Pacific (from 2004-2012 ) - a housing and small business loan agency, Hikiola Cooperative (2008-2011)- a feed and fertilizer Co-op, Moloka'i Irrigation Advisory Board (2008-2012), the Moloka'i Chamber Foundation (2006-2012), The Moloka'i Planning Commission from (2006-2009). Up until her appointment to the State House of Representatives Lynn served on the Moloka'i Homestead Farmers Alliance (2006-2015), Farm Service Agency (2007-2015) and the Hawaii State Board of Agriculture (2012-2015). Rep. DeCoite has been engaged in issues and involved at both the Maui County Council and the State Legislature and advocated for the people of Hawaii for many years. She has participated in various working groups including the Maui Water Community Working Group and the Moloka'i Workforce Development Agricultural Working Group. She was instrumental in having Moloka'i Irrigation System audited and lobbying for it to have the necessary funds to fix the system so that farmers can continue to farm. "I am committed to keep my ears open and am willing to listen and work with EVERYONE to make the State of Hawai'i a better place for all of its people." Rep. DeCoite said in closing.